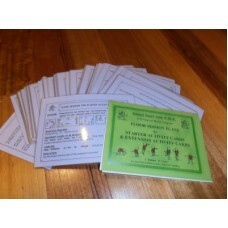 A set of Floor Session Plans in laminated card form, used in conjunction with Starter Activity Cards and Extension Activity Cards of the Smart Start with P.M.P. Perceptual Motor Programme. Floor Session Plans for each Starter Activity Card giving resources, language, movement and fine motor activities and prepares student for each equipment session.